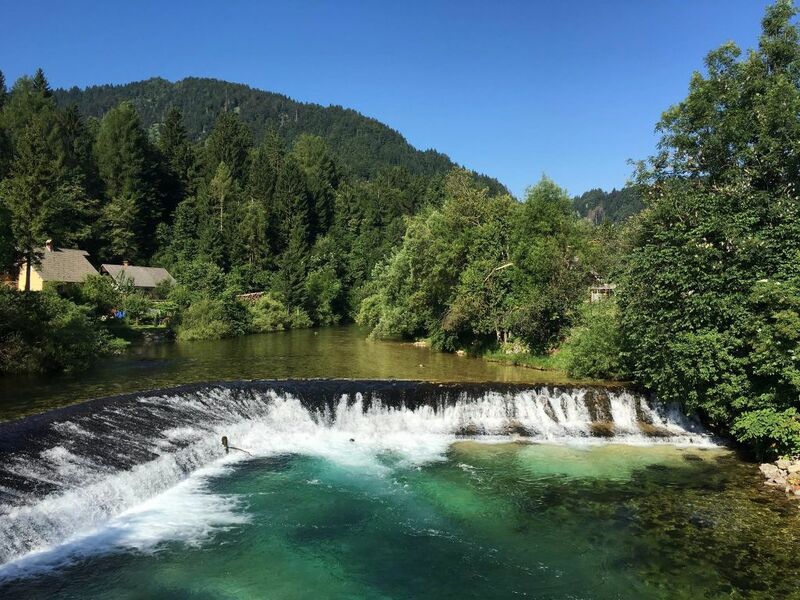 Within minutes we left the gentle bustle of Bled and the scene for the day was set when our first destination was a drive through the scenic Radovna valley, with plenty of photo opportunities along the way. This is off the 'tourist trail' and gives an insight into a more traditional way of life. Along the way, Ivana was telling us about the history and culture of the area, answering a wide variety of questions from us all. We then drove into the Vrata valley and stopped to climb up to the Peričnik Waterfall. This was a short hike (about 20 minutes walking uphill - sensible shoes required) with the reward of a stunning view and a cool spray. 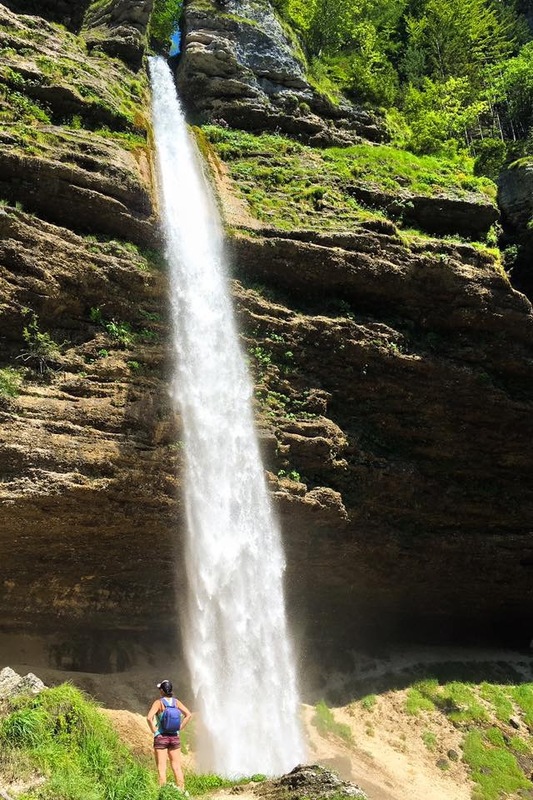 You could get up close and personal to this waterfall - feeling the spray, having the water dripping on you from overhangs above, and even walking behind the cascading water... Fantastic!! A delight for all the senses. If this had been the conclusion of the trip - it would have been worth it. But no, there was even more to come! Next, was a drive further up the Vrata Valley to our lunch destination, below the North Face of Mt. Triglav in a mountain 'hut' - more like a restaurant in the hills. The food was traditional and all home made. It was delicious - catering to all our varied tastes. The setting was fantastic - surrounded by majestic mountains. 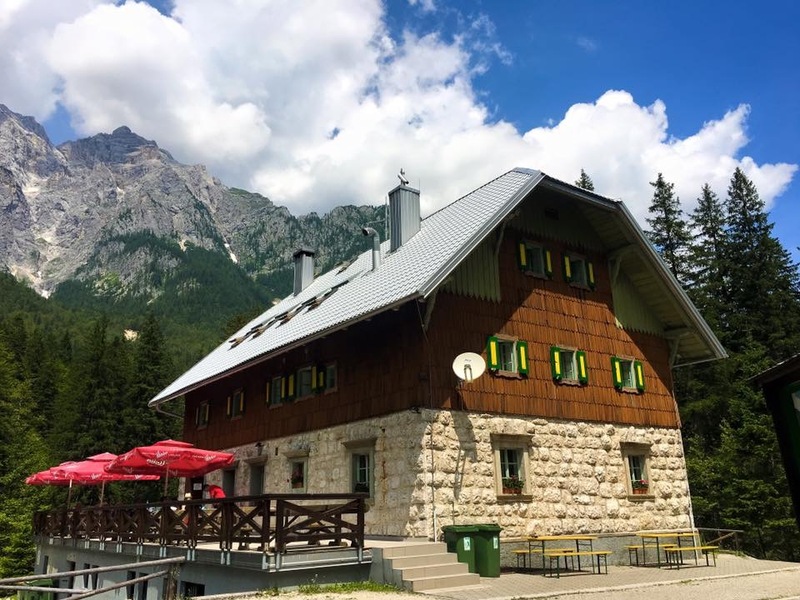 Refuelled and ready for our next adventure: we headed off through the Triglav National Park (in the direction of Kranjska Gora), to Planica, the home of Slovenian ski jumping and one of the largest ski flying hills in the world. 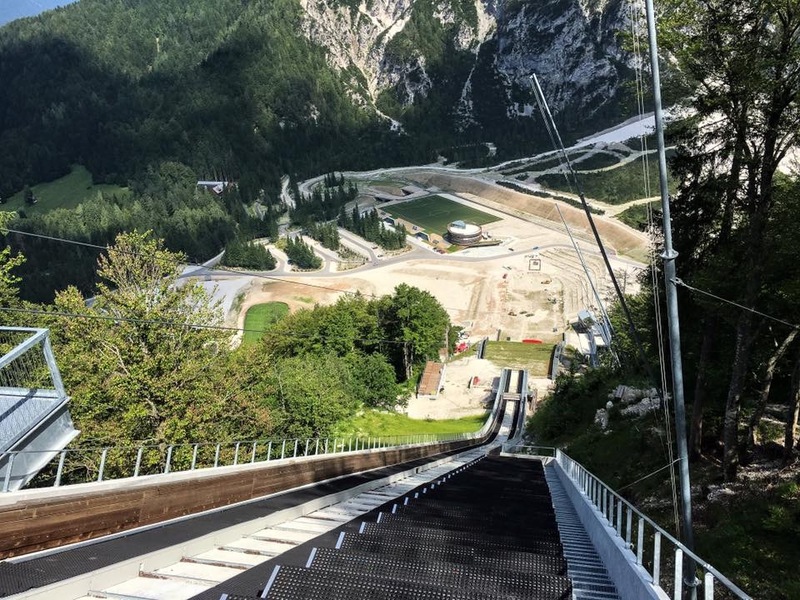 Not content with throwing themselves off snow covered hills, strapped to a pair of skis, Slovenes have now installed a zip line over the the jump in order to give us mere mortals (non Slovenes) a fleeting sensation of what it must be like to ski fly. We were all given the choice whether we would like to experience this (no pressure) and we all decided that it was too good a chance to miss. The vertical height of the zip line is 202 metres and is 566 metres long. In the top half of the drop (the steepest in the world), you reach speeds of up to 85 km an hour. After we were kitted out and given the safety brief, we took the chairlift to the top of the slope. We were again given instructions, secured and briefed, and one by one we took the leap... It was amazing!!! 45 seconds of pure exhilaration. See Scott's ziplining HERE. Again, this was not the end - there was one more highlight to come... Ivana took us to the source of the Sava River for one more photo opportunity. Here you can see the river bubbling up through the Karst and behold the stunning colours and sights of this Natura 2000 protected site. 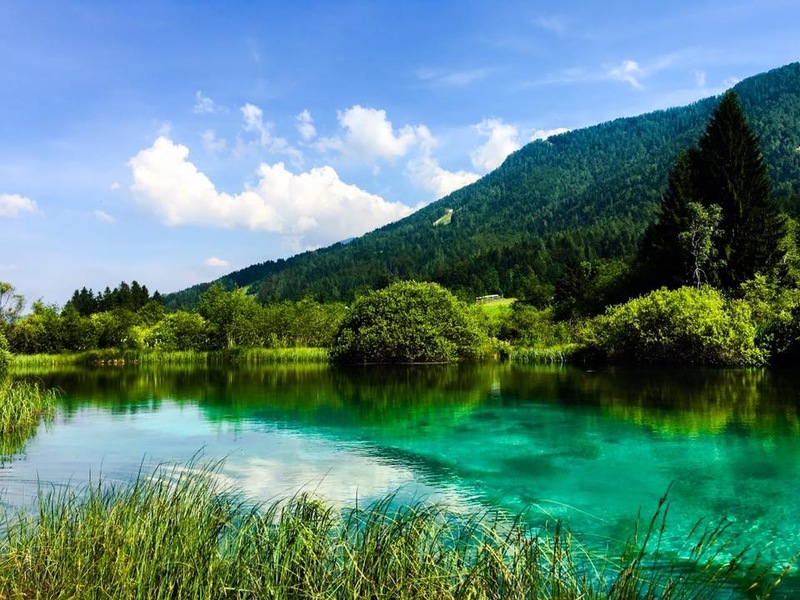 Tagged adrenaline, daytrip, food, Gorenjska region, off the beaten track, river, traditional, Triglav National park. Bookmark the permalink.